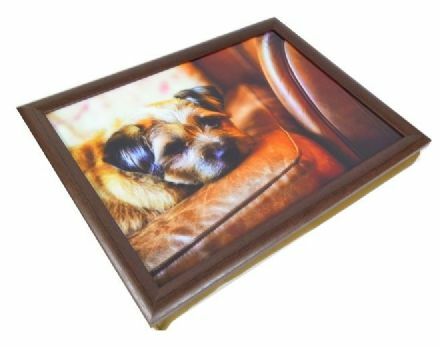 A quality, and detailed Alex Clark Barking Borders Corked Backed Coaster. A perfect gift for a fan of Alex Clark. 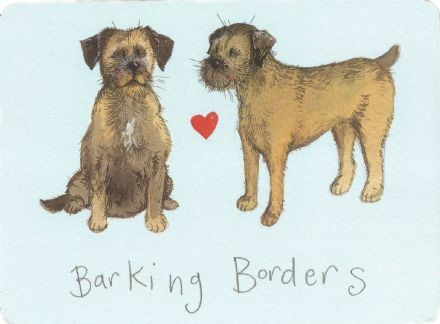 Barking Borders Corked Backed Placemat by Alex Clark. A perfect gift for a fan of Alex Clark. 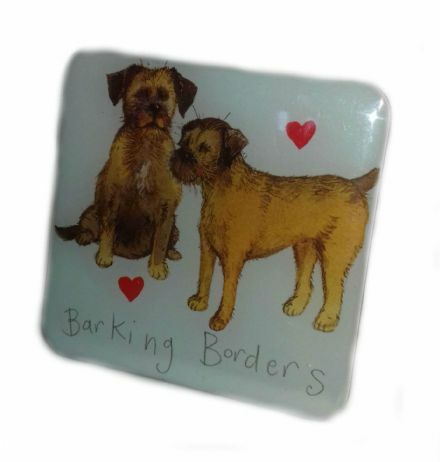 Barking Borders Fridge Magnet by Alex Clark. It will make an ideal addition to your fridge. 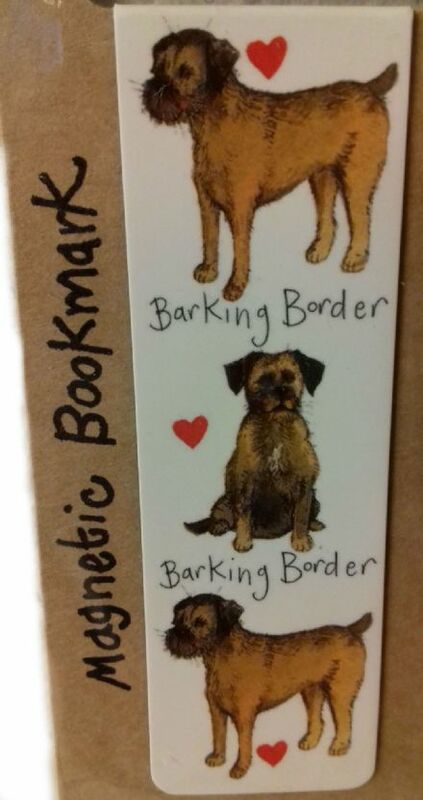 An absolutely beautiful Barking Borders Magnetic Bookmark from the lovely range by Alex Clark. A perfect original gift. 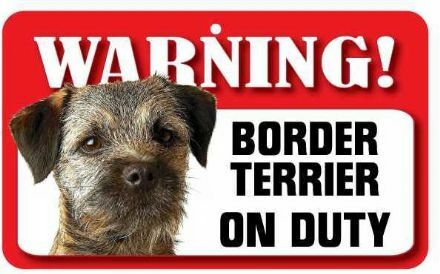 A great pet sign of a Border Terrier Dog. 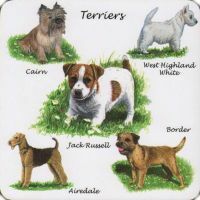 Making it a perfect gift for an owner of this popular breed. 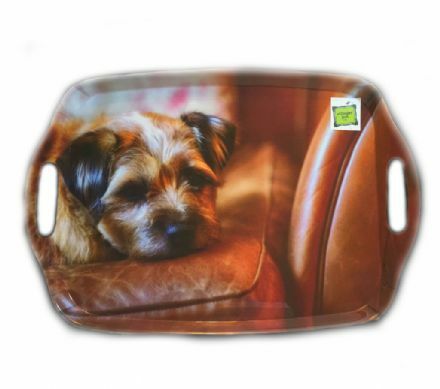 Border Terrier Flirty Gerty Lap Tray. Perfect for TV dinners and crafts. 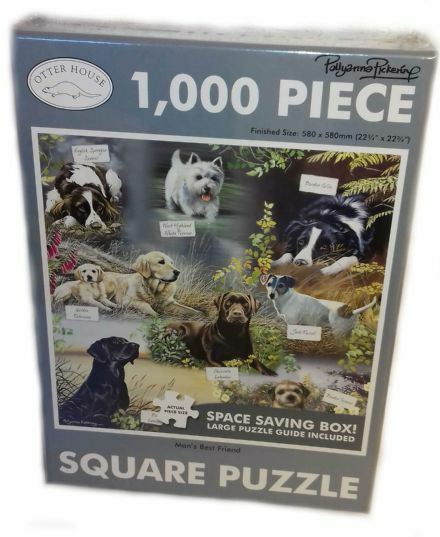 Man’s Best Friend 1000 Piece Jigsaw. A perfect Gift for the long Winter Evenings.